“Project Runway” Holding Open Casting Call in NYC for Season 8! ATTENTION ALL ASPIRING ECO-FASHION DESIGN STARS! We’re tired of seeing boring non-green designers on Project Runway season after season! We think it is time to green Project Runway, and show the world how fabulous eco-fashion can be. And designers, seriously, why settle for watching Project Runway on TV when you could be on Project Runway? If you aspire to be the next eco-fashion hotshot on reality television (hello, Leanne Marshall! ), hightail it to the open casting call in New York City on Friday, May 7, 2010 with five or six of your most recent designs. Not only is this an amazing opportunity to promote your talents, but it’s also the perfect way to show the world what green fashion can accomplish. For more information, visit Bunim/Murray Productions online or email [email protected]. Good luck! 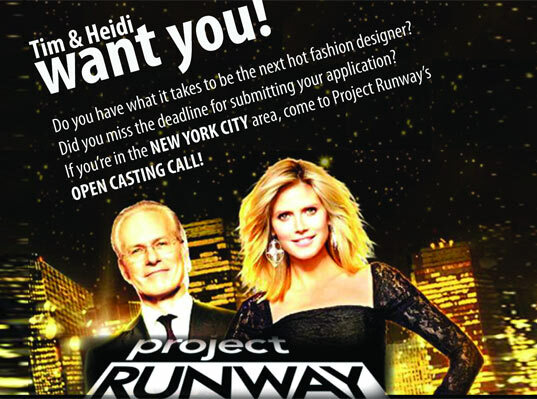 "Project Runway" Holding Open Casting Call in NYC for Season 8!